Enter the code BONUSPTS4BARGAIN to score 100 FREE Points! If you are not a member, go here to join. 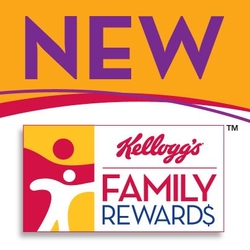 Not sure what Kellogg’s Family Rewards is? It’s a new program from Kellogg’s that allows you to redeem points in for high value coupons, free products, toys, magazine subscriptions and more.